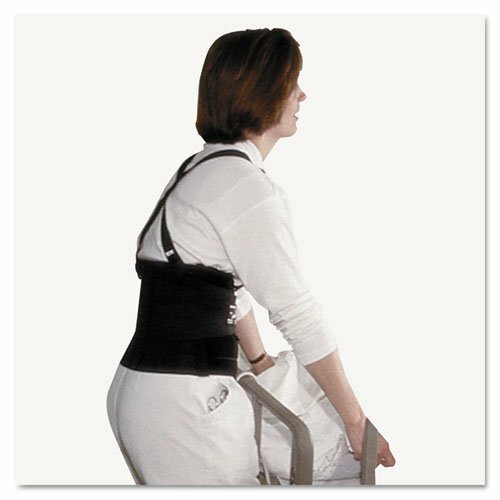 Standard back support belt with 5 flexible stays, 7'' back panel, suspenders. ;Reduce risk of injury from heavy lifting by supporting back and abdomen. ;Single-closure back support protects lower lumbar area. ;Retains memory for continued firm support. ;7'' wide back panel, 5 flexible stays and suspenders for lasting comfort.